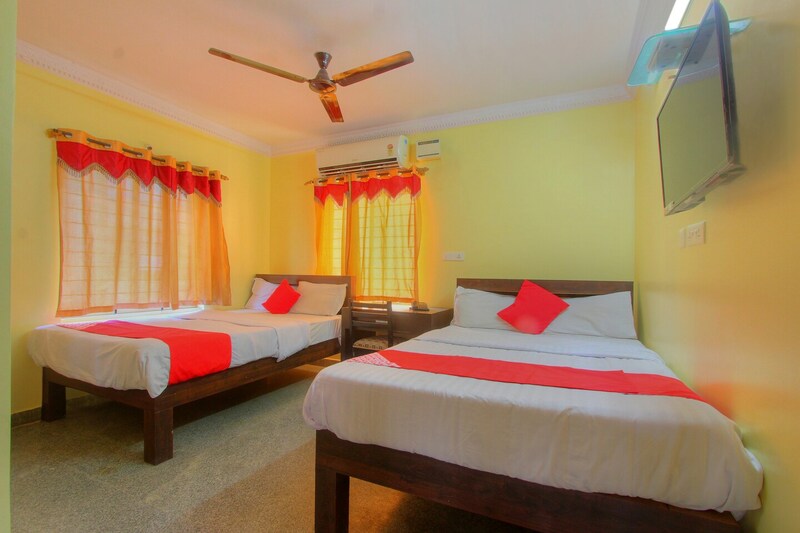 Hotel New Golden Residency promises a homely and a comforting stay for its guests. The well-designed modern rooms will be suited to various travelers. Elegant furnishing and warm wall colors with a vibrant match of linens along with various other amenities make the experience at the room comfortable and easy. The spacious rooms are well-lit with clean ambiance and the windows besides the bed makes the space charming. Various other amenities include free Wi-Fi and card payment. Various well-known restaurants are near the hotel to beat your hunger pangs. Explore key attractions like Shiva Temple, Wari Watai and Shiv Mandir near your stay.